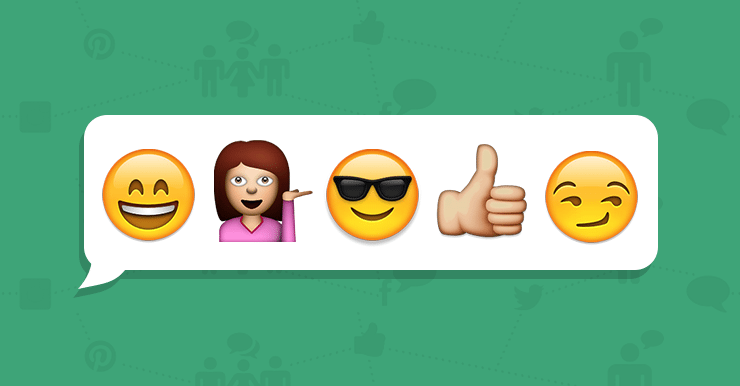 You are here: Home / Content / Are You Using Emojis to Speak to Millennials Yet? Are You Using Emojis to Speak to Millennials Yet? As marketers, we are always searching for the next best way to communicate to the coveted millennial generation. We jump on trends that are “cool” and we try to seamlessly stitch ourselves into our target audience’s culture. It’s what we do — it’s our job. One massively important form of communication that some of us may have been overlooking are Emojis. These little symbols are becoming more and more prevalent in digital communication, especially with millennials. Obviously it’s important to know what Emojis are before you start trying to implement them in your marketing strategy. Emojis are emoticons that are widely used on smartphones. Emojis quickly communicate expressions without words. In addition, they give context/emotions to a digitally communicated sentence. If you want to reach millennials and you haven’t been implementing Emojis into your social strategy, you should probably start thinking about it now. To market to millennials it’s important to stay relevant and Emojis are extremely relevant in the way millennials communicate today. According to a study by eMarkter, there are over 2 billion smartphone users worldwide, and mobile messaging is still rapidly growing! Emojis have the power to break through language barriers, a smiley face in China and smiley face in America mean the same thing, that’s huge to keep in mind. Before you start throwing Emojis in your social media communications, make sure you’re using them effectively. Just because you put one at the end of your sentence doesn’t mean it’s going to connect with your target audience. It’s more important to craft messages in an emotional way that feels human, and then use an Emoji that relates to that emotion. Start small and test what’s right for your business. Every situation is different and there’s no universal law on the perfect amount of Emojis to use. Now that you know what Emojis are and why they’re important for your social strategy, get out there and start using them! « New on Twitter: Quote Tweets!